Looking to regain the sparkle and glamour needed to compete with newer Fort Lauderdale hotels and resorts, the Hyatt Regency Pier Sixty-Six recently underwent a multi-million-dollar renovation. The 50-year-old modern classic hotel, situated on Florida’s Intercoastal Waterway and featuring dazzling views against a lush tropical backdrop, was a property in need of a bold design firm to help burnish its midcentury luster. Design Continuum of Atlanta was the firm selected to make it happen. Along with the owners, they determined that one critical area of the renovation was the restaurant. 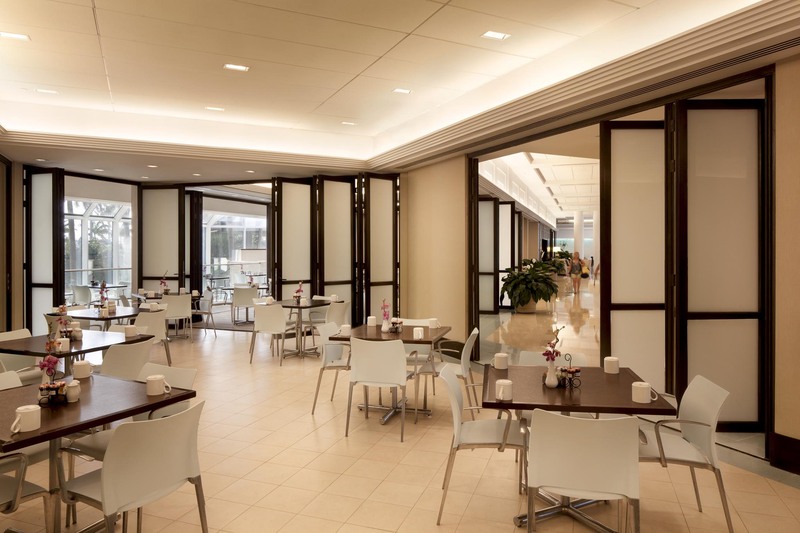 The design team felt it was important to both divide the restaurant from other public areas within the first floor and yet also have the option of dividing the restaurant up to accommodate varying numbers of patrons throughout the day. Installing simple, one-size-fits-all sliding doors was not an option. 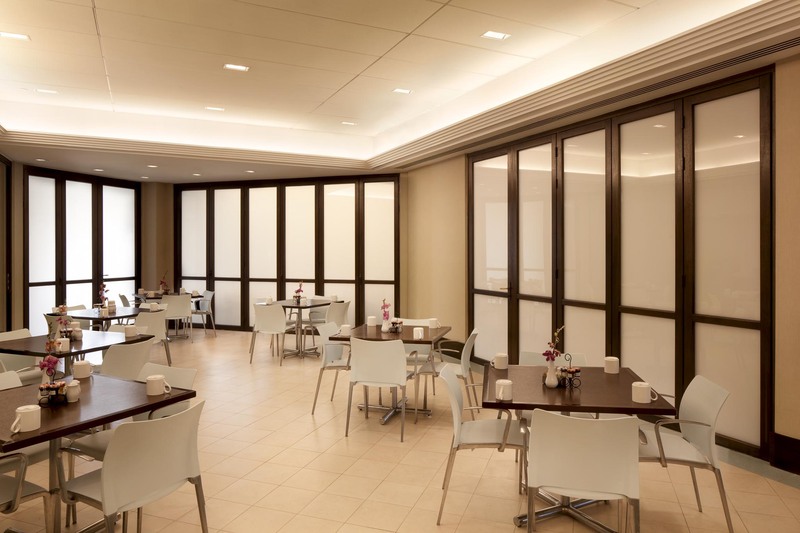 The president of Design Continuum, Woody Faust, explains how the solution arose: “We selected a wood folding wall system – the NanaWall WD65 which proved to be an ideal choice for the Hyatt renovation,” he says. 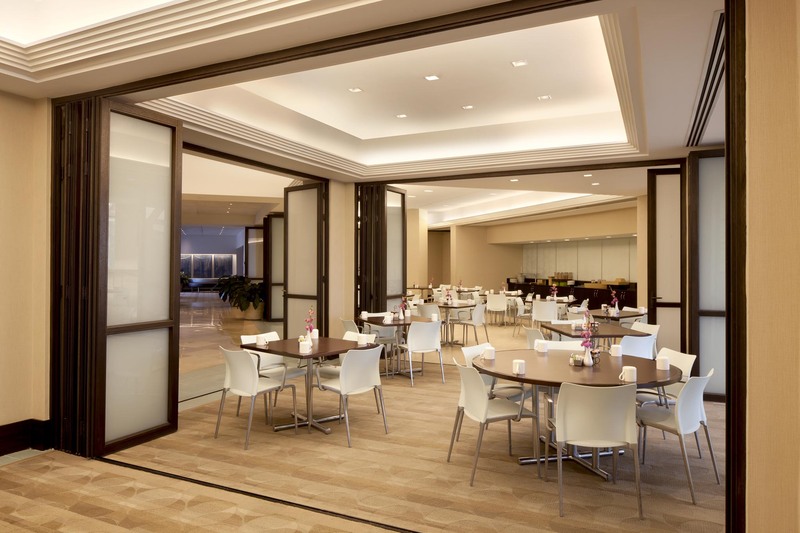 The glass walls allow the restaurant to divide the space to accommodate as many people as needed, according to the hotel’s Tamas Vago, the food and beverage manager. “We didn’t go to any other manufacturers, as we had confidence in the NanaWall product quality." The WD65 is a top-hung system that features monumentally sized, paired panels made of cross-grained, solid wood. 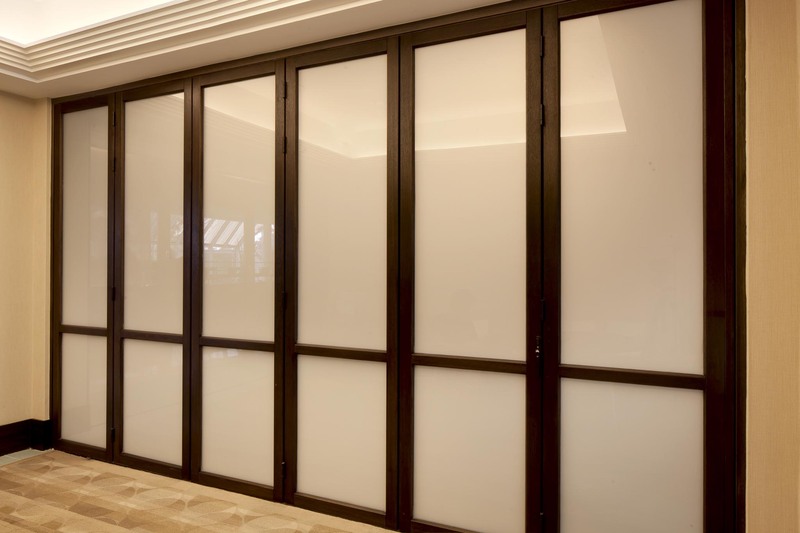 The openings can range from two panels to as many as twelve (with each panel being up to 43” wide) with both inward and outward opening panels, which allow maximum design flexibility. There was only slight consideration given to other types of operable doors and other manufacturers. “We didn’t go to any other manufacturers, as we had confidence in the NanaWall product quality,” Faust explains. 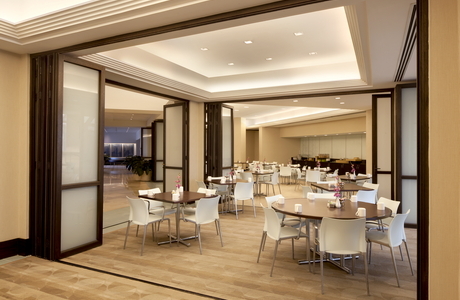 According to Hyatt Regency Pier Sixty-Six’s Vago, the option to customize the restaurant size throughout the day through the use of a NanaWall System was key to the restaurants’ functionality and aesthetic appeal: “Our restaurant handles 50 to 350 people, and we needed moveable walls to help us divide the large room,” he explains. 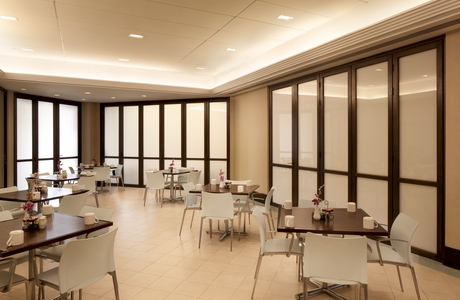 “During low occupancy days, we open just one section of the restaurant. 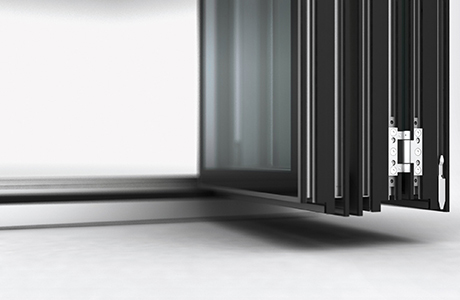 Importantly, the WD65 system features unique stacking configurations for special applications, meaning that in addition to all inward-opening panels or all outward-opening panels, there are options for combinations and center-pivoted panels. Special applications for segmented curved units are also available. In the case of the Hyatt Regency Pier Sixty-Six, 72 panels with 14 openings were installed and provide the necessarily functionality. The three-layer crossed grained solid wood frame and aluminum head jamb clad with matching wood fascia pieces on both sides create a harmonious, unified aesthetic. The Hyatt Regency Pier Sixty-Six is now restored to its original midcentury glamour – with the NanaWall WD65 system an integral part of its new found, design–forward elegance.